#1 Anything about Rose Gardner. This is the first fiction series I've been able to lose myself in for years. There's so much value in that. If you want a mystery and an entertaining read that will have you rooting for characters, go for it. Makes for excellent water cooler talk too. As I started the most recent book this month, I felt like I was settling in with old friends. It's just comforting to me...like, "Oh Rose, here we go again..." when a new adventure starts (I use the term "adventure" loosely). I mentioned this book back in March. I really REALLY enjoyed it. It's part time-travel, part historical fiction. I can't believe it hasn't gotten more attention; it was just published in 2015. I would whole-heartedly recommend it. I adored this. 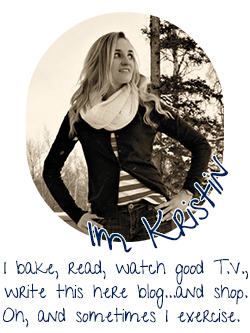 It's what I would refer to as "intelligent chick-lit", with character-depth and layers built in. Honestly, I may just have liked it so much because it has two endings and I didn't have to worry or wonder either way. It must have been really nice satisfying for TJR to wrap things up in two different scenarios. This captures a spot on the list because it's been the first WWII book I've enjoyed this year. I've quit many because they're such an investment and it can be a chore to not confuse one book with another. It starts slow but by hour five of this almost-20-hour audiobook, I was completely invested. 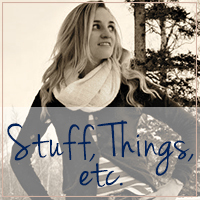 This is a super shallow list and, on some level, I'm okay with that. 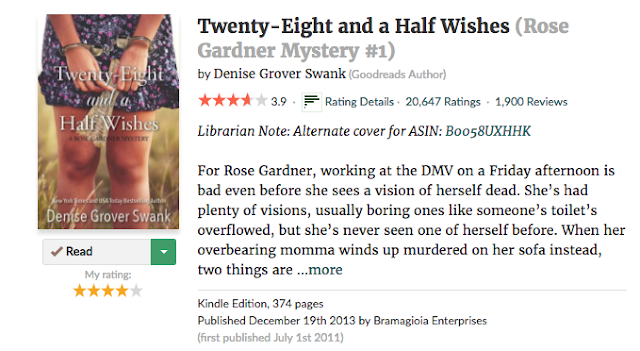 There were like 15 Rose Gardner books so that took a lot of my money, Audible credits, and time. Since I'm drawing a line of demarcation here in 4 days, I've read 70 books this year. Which is, honestly, about 20 more than I thought I'd read. This book was just fascinating. It was like nothing I've ever read, but I adored it. I can't even with this book. I CAN'T EVEN. I'm glad Kristen convinced me to try it and I'm glad others, like Jana, feel the same way I did because seriously...try it. I started rattling off books to my friend, when she asked for recommendations a few weeks ago, and then I said, Wait, never mind. The Sea of Tranquility. Just that. Go with that. Forget everything else I've said. I originally rated this as a C because there was something about it. I liked it. Didn't love it. But then the more I thought about it (and I'm still thinking about it over a year later), the more I realized how well it's written and how masterfully it's crafted together. It's just...fascinating. If you like historical fiction at all, go for this one. I feel like I almost want to compare it to Kate Morton, but it's kind of on its own level. Side note: I didn't love A God in Ruins, the companion novel, because I wanted answers. You will get no answers from either of these books. What was YOUR best book of the year? What the #1 book you almost always recommend to others? This is the second (or maybe 3rd?) list I've seen Sea of Tranquillity on, and I think it's already on my TBR list, but now I want to bump it up and read it sooner rather than later. I'm really hoping to get to a Kate Morton book next year & have Twenty-Eight & a Half Wishes on my iPad right now to read hopefully soonish. Loved loved loved The Sea of Tranquility. I think that was on my list last year. 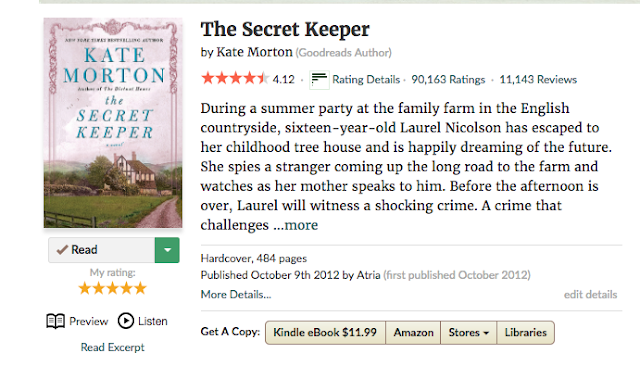 And The Secret Keeper is my favorite by Morton. I think my favorite book this year was The Nightingale which, surprise surprise, is a WWII historical fiction novel, heheh. I also think I'm going to up my reading challenge to 40 books next year. This year I wanted to read 30 and I ended up reading 37, so I think I can push for a few more. i had the string diaries on my list from when you recommended it, but i must have accidentally removed it between now and then, because i just added it again. it sounds right up my alley. and eventually, in 2017, i will get to the rest of Rose's books. I loved Maybe in Another Life, but I didn't love the 2 endings part haha. I don't think I have read The Secret Keeper. I've only read 2 of Kate Morton's books, I think. But it's on my list. and so much yes to the sea of tranquility. 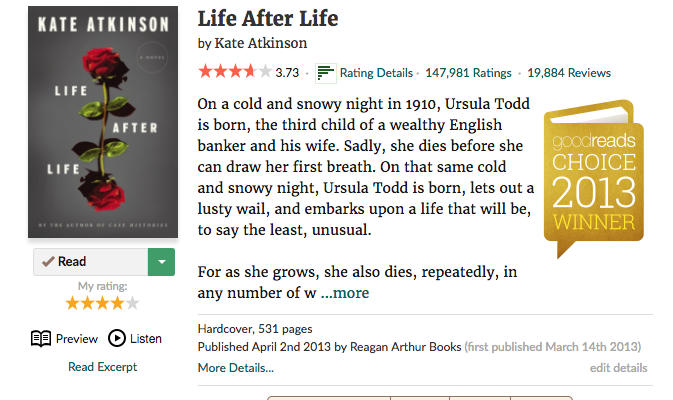 i kind of freak out when i think.. if not for this link up, would i have ever discovered that book?! i think steph read it and said she stayed up all night so i was like, okay yes please. haha. it's like an awesome book club but we aren't forced to read anything. i'm so glad you liked it! i asked for it for christmas and i want to re-read it! interesting about life after life - i think it was on my list but i might have taken it off after your review (i'm so easily swayed, i know) but now i'll put it back on. 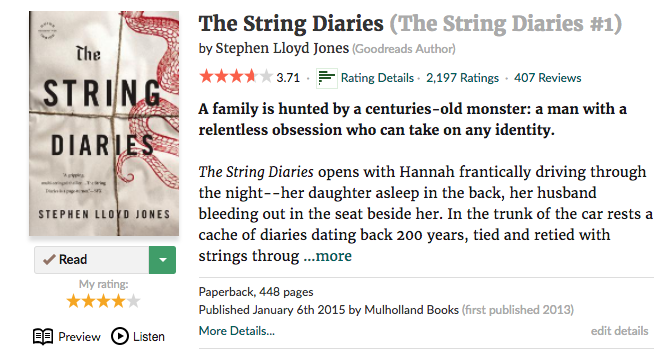 I've added The String Diaries and The Ocean At The End Of The Lane to my list! Both sound like books that are right up my alley! The Sea of Tranquility has been on my list for forever, but I haven't gotten around to reading it yet! That needs to change in 2017! Sea of Tranquility is in my top five all time favorite books. So good!!! You know that Sea of Tranquility was on my list for this year. What a beautiful, amazing book. I love seeing TJR on yours! I have the first Rose Gardner on my kindle and need to give it a try because I LOVE books that feel like old friends. :D Actually all of these books are on my TBR! LOL! I need to get reading! I own The Sea of Tranquility, so I really need to get to it. And I don't think your reading can really be called shallow. Just read what you love! My goal for 2017 is to read more, a lot more! I have got to read Maybe In Another Life. 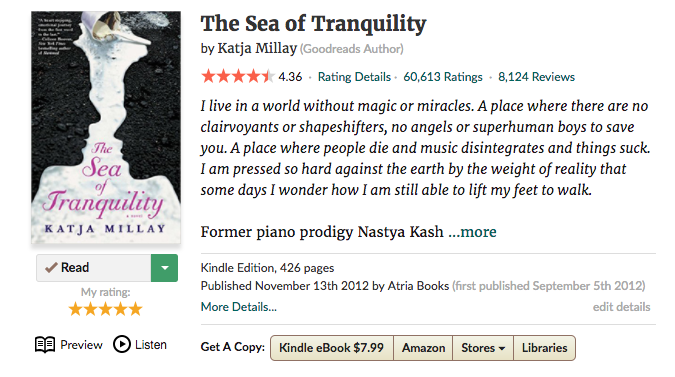 I loved The Sea of Tranquility and enjoyed The Secret Keeper. Sooo I just added all of your faves to my TBR. I read The Sea of Tranquility this year and loved it, but for some reason didn't mark it on Goodreads so I forgot to include it in my favorite books of the year! I've never heard of Rose Gardner. Sounds good. 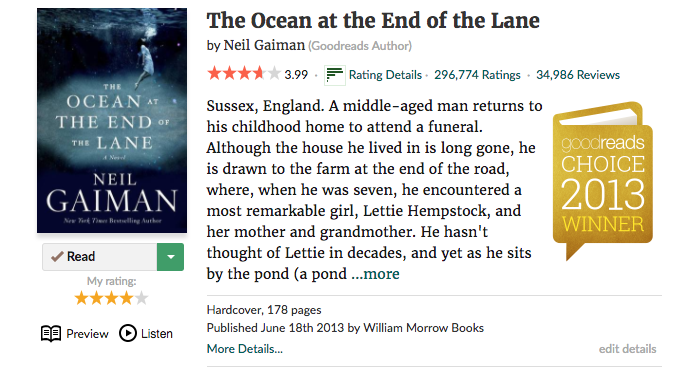 I haven't read any of these, but Neil Gaiman is my spirit animal! Hoping I can read more in 2017! I feel like I need to add all of your favorites from this year to my TBR list. They all sound incredible. Salt To The Sea or Ready Player One were my favorites this year. They both struck me so strongly. I loved them!